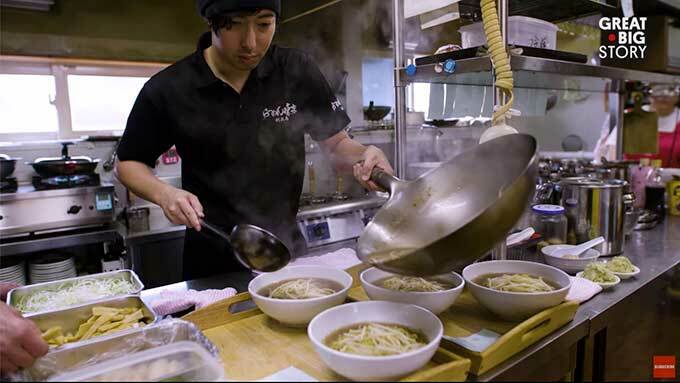 Rishiri Ramen Miraku is on one of Japan's northernmost remote islands, Rishiritō (pop. 5,000), and many people go out of their way to eat its famous charred-soy seaweed ramen. 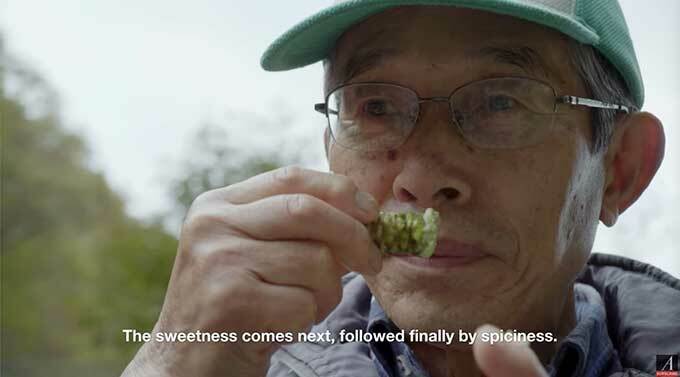 The restaurant, which takes 7 hours to get to from Tokyo by plane, train, and ferry, earned the Michelin Guide's Bib Gourmand award in 2012 and 2017. One of the many amazing things about Japan is their abundance of robots, from a robot-staffed hotel to robot waiters to robots that teach English to children. 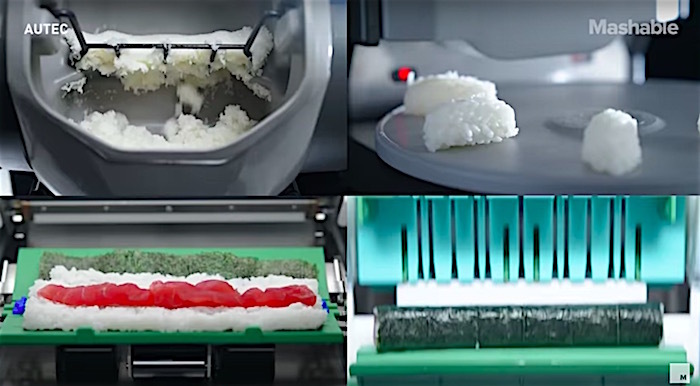 This cool robot, made by the sushi-robot company AUTEC, can make 2400 nigiri rice balls and 200 sushi rolls per hour. A train station in Japan is apparently unique, in that it has no exit or entrance other than the platform. Get off the train, check out the beautiful scenery, and get right back on again. Called Seiryu Miharashi Eki, which translates to “Clear Stream Viewing Platform Station“, this station has been built so that passengers can stop off and admire the surrounding scenery. Walter Thompson-Hernández grew up in southeast Los Angeles. 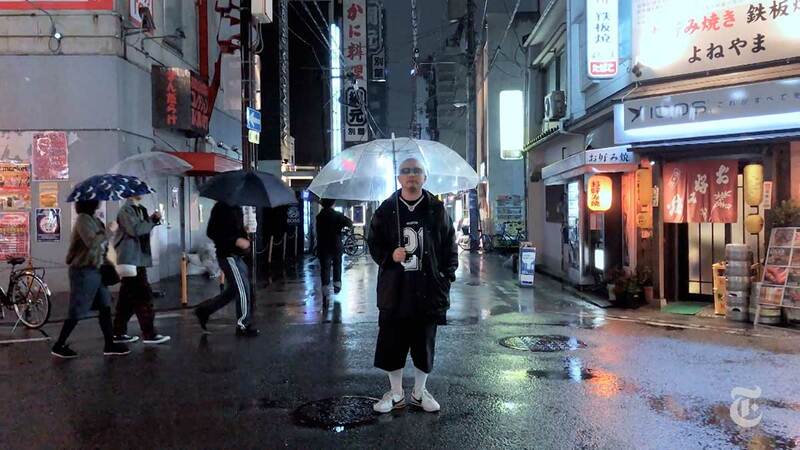 He went to Japan to make a short film for the New York Times about Chicano fashion and Culture in Japan. What I found when I got there is that, while most instances of cultural appropriation completely disregard the original communities, the people whom I met did the exact opposite: They are in constant communication with Los Angeles lowrider communities. To me, it was more of a form of cultural exchange. Although many people I met in the scene were born and raised in Japan, they pride themselves on appreciating lowrider culture, while also creating something new and adding their own touches through their own cultural experiences. Here's a guy who went to a monkey park in Takasaki-yama in Japan and donned a monkey park worker uniform for a day to see what it was like. 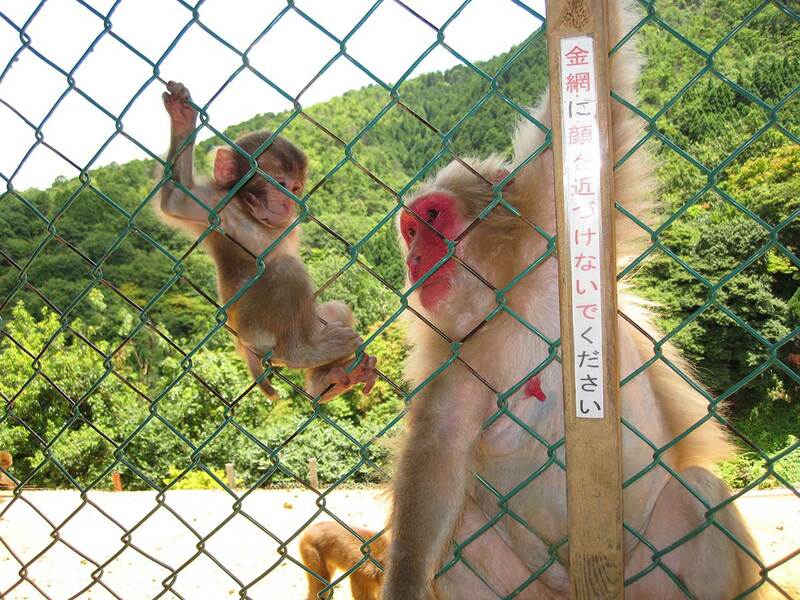 One reason Japan has monkey parks is to get them used to eating food there so they don't invade nearby farms. 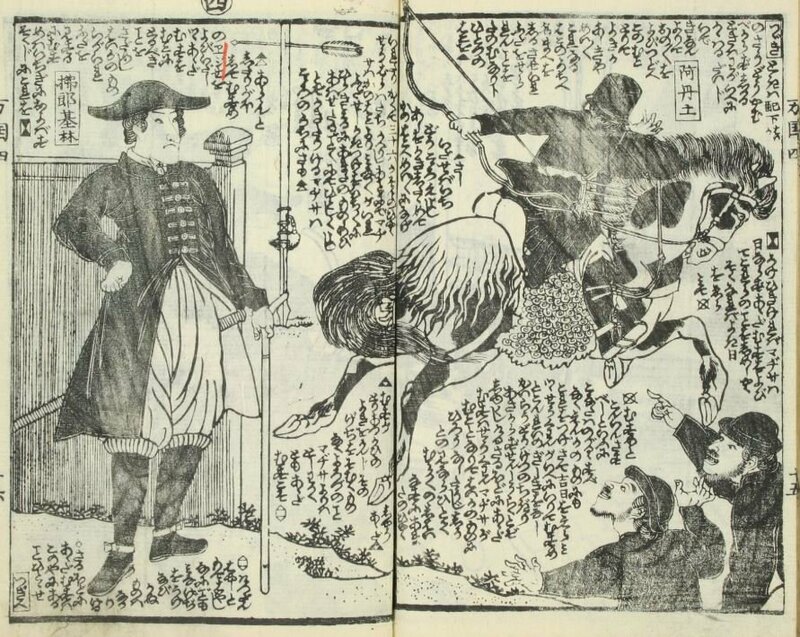 The monkeys didn't really like having a stranger tend to them, and they made their displeasure known by chattering. They settle down pretty quickly, though. My favorite part was when an experienced worker ran through the park with a cart loaded with sweet potatoes. The monkeys chased after him and picked up the sweet potatoes as the fell off the cart. As populism and a tilt to the political right has prompted many nations to question once welcoming immigration and refugee policies and embrace xenophobia, a nation with a centuries long reputation for insularity has decided to move in the other direction. With its rapidly aging population and an underwhelming birthrate, Japan is opening its doors to large-scale immigration. Under a bill approved by Parliament’s upper house in the early-morning hours, more than a quarter-million visas of five-year duration will be granted to unskilled guest laborers for the first time, starting in 2019. Under the new measure, between 260,000 and 345,000 five-year visas will be made available for workers in 14 sectors suffering severe labor shortages, including caregiving, construction, agriculture and shipbuilding. 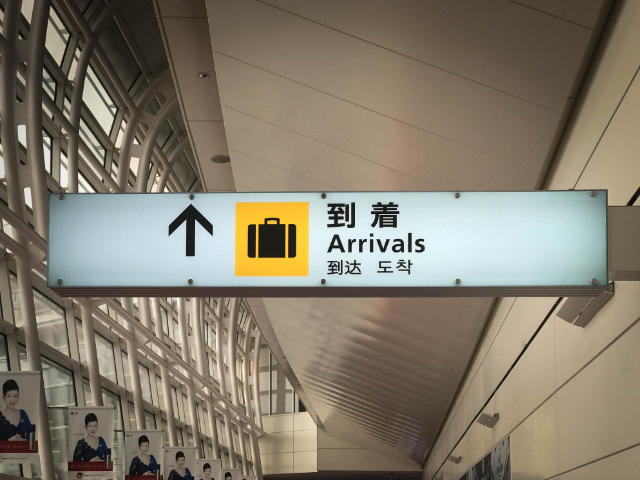 The measure also creates a separate visa category for high-skilled workers, who will be allowed to stay for unlimited periods and enjoy greater benefits, including permission to bring their families to Japan. As The New York Times points out, over the next 25 years, Japan's population is set to shrink by 16 million people, or 13 percent. During the same period, the number of old folks in Japan will increase to make up 1/3 of the population. This leaves an incredible vacuum of caregivers, laborers and other positions that must be filled. Hokkaido is the northernmost of Japan's major islands. It's here that the practice of racing giant draft horses is being kept alive. The horses race against each other by dragging heavy sleds (weighing between 900 pounds and 2000 pounds). 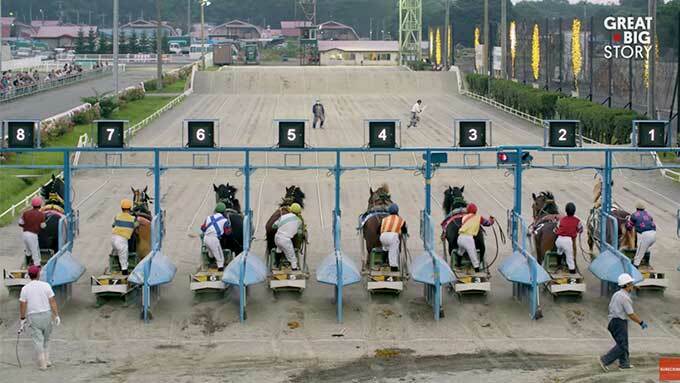 The horses are fed four times a day and race once every two weeks. 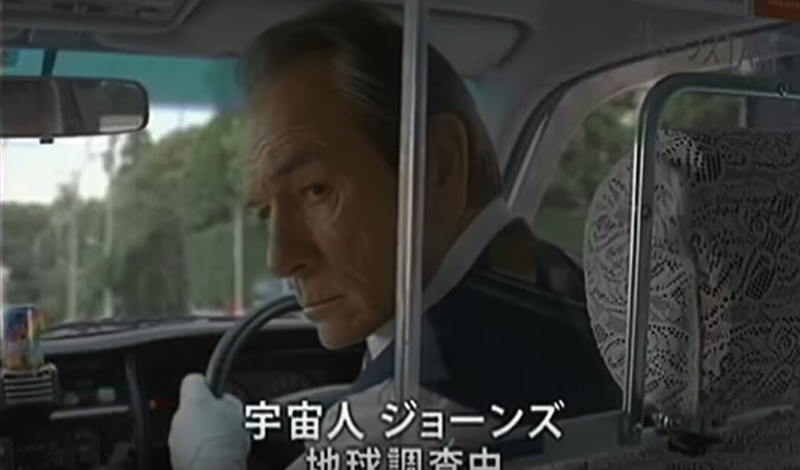 You may remember that, in Japan, you can rent fake family members to fight loneliness (or for other reasons, like you want your kid to have a "dad"). Well, Conan O'Brien has been filming in Japan and, while in Tokyo, he hired a new wife, daughter, and father. He told them right from the start that they must laugh at his jokes (his real wife is "tired" of them, he says) and they do, even when it's inappropriate. 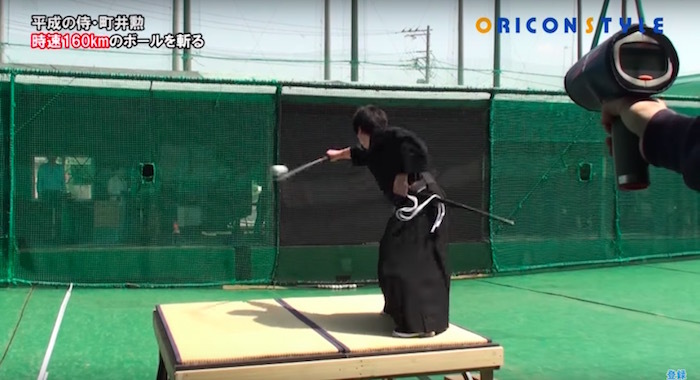 It's funny, as are the other "Conan Without Borders" videos he and his crew shot in Japan. You can watch them all at the Team Coco website. If you love vending machines like I do, don't miss the one labeled "Tokyo." Akaya Kunugi makes a nice living entertaining women at a host bar in Tokyo. One of his clients even bought him a $370,000 car. In this Asian Boss video, Akaya, who was formerly homeless, describes his duties as the number one host at the largest and most prestigious club of its kind in Japan. 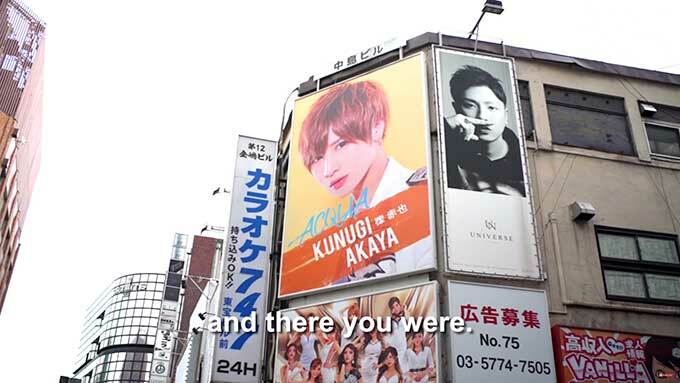 They also interview one of his 19-year-old clients, who said an evening with Akaya at the club costs at least $700. She once bought a crystal magnum decanter of Louis XIII cognac at the club for $110,000. Akihabara got its reputation for being Tokyo's "Electric City" -- both for its consumer electronics as well as for its electronics components stalls. 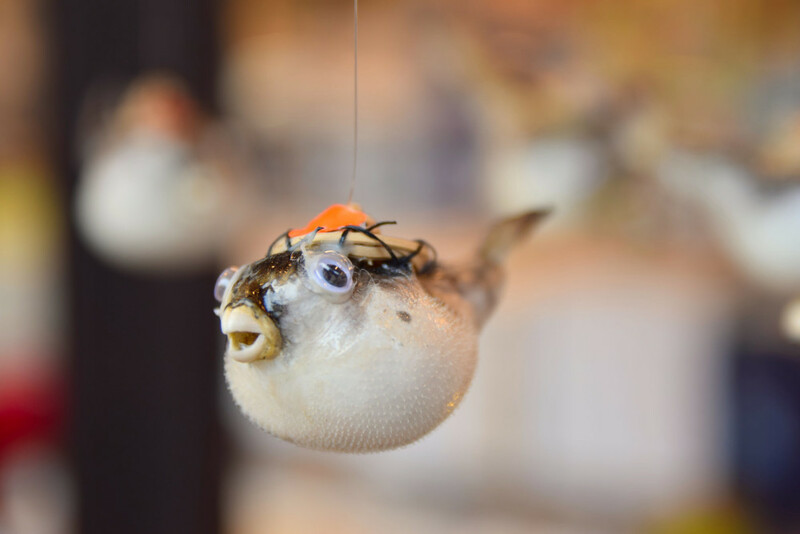 In more recent years, it's become more well-known for anime, manga, claw machines, game arcades, capsule toy shops, maid cafes, unusual vending machines, and vintage video game gear stores. 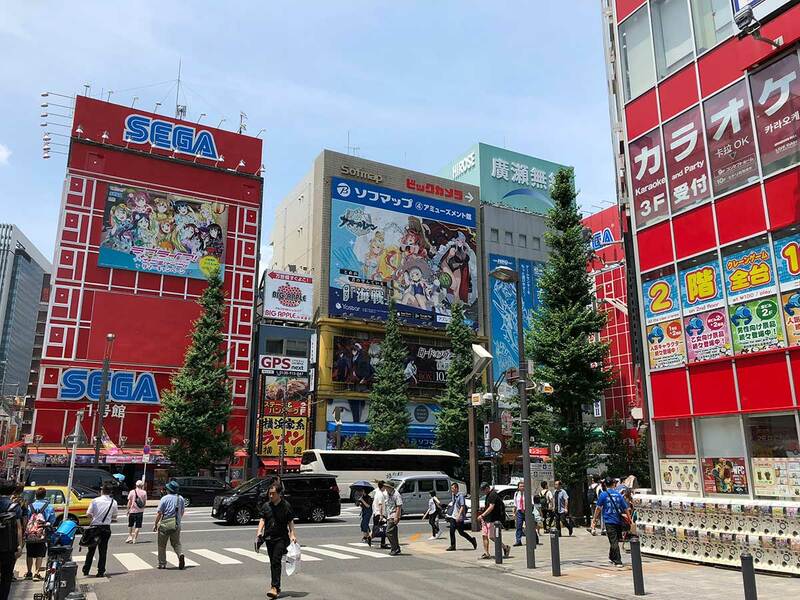 Scotty of Strange Parts took a tour of Akihabara with Only in Japan's John Daub.